UK TV & Film Locations Vanguard Surveillance and Security - North Somerset security guards, mobile patrols, key holding & training. 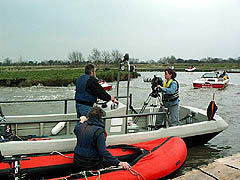 Vanguard Marine has many years experience providing the film and television industry with safety boats, filming platforms, safety divers and safety swimmers covering a wide range of marine requirements, from the initial survey of a potential location to supplying safety boat and diver on the filming day. 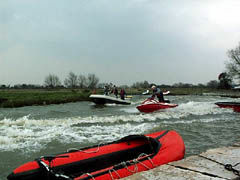 Any combination of engine relating to each task the craft is expected to perform ie: safety boat for a swimming sequence with dialogue would utilise an inflatable with electric engine. Access to a nationwide network for chartering any craft specified by the Production. 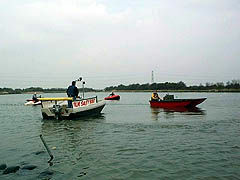 Extensive experience trouble-shooting water-borne sequences, from underwater pyrotechnics to a submerged corpse. 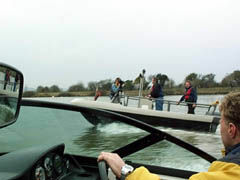 All our craft and marine operations are fully insured and comply with Diving at Work Regulations 1997. We provide risk assessments and offer friendly and professional advice. Initial consultation is free of charge. We operate on a national basis.